Produced by Miração Filmes and Exótica Cinematográfica, “Slam: Voz de Levante” won two prizes at the Rio International Festival. 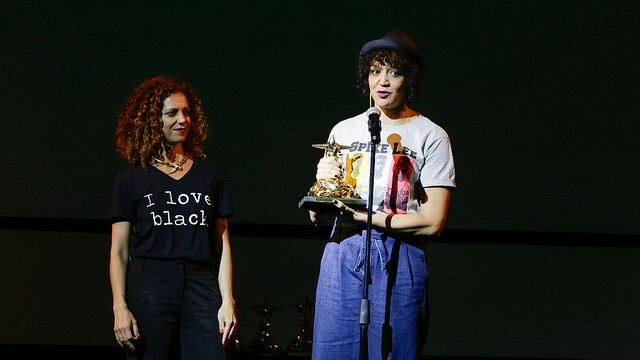 Tatiana Lohmann and Roberta Estrela D’Alva received the award for best direction in a documentary and the film also received the special prize of the jury. In São Paulo, the film had its premiere at the 41st International Film Festival, being shown in several theaters throughout the city. “Slam: Voz de Levante” witnesses the growth of the Brazilian scene of Poetry Slams, performative championships of spoken poetry, since 2008. He travels to the origins in the USA and follows the Brazilian champion of 2016, Luz Ribeiro, until the Slam World Cup in Paris, representing a new feminist and black wave that has been established by the poetic virulence of the politicized verb. Brazil 2050 is already scheduled to debut!